These errors are all too easy for even the most vigilant moms to commit. How many do you recognize? Thankfully, Kadence, now 5, was fine, but other kids aren’t so lucky. Each year, an estimated 71,000 children are treated in emergency rooms for accidental medication poisonings. 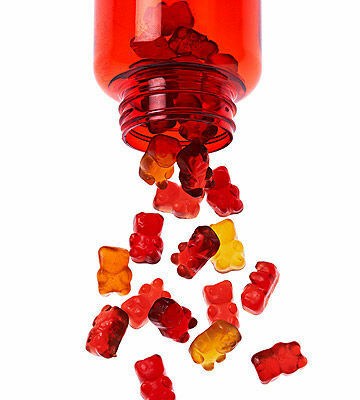 Medical experts say that many parents unintentionally goof when giving kids medicine. Such errors can lead to prolonged illness as well as potentially serious side effects, particularly in infants and toddlers, which is one reason the American Academy of Pediatrics (AAP) no longer recommends OTC cold and cough medications for kids younger than age 4. (Teague’s incident occurred in 2008, before the AAP changed its recommendations.) “A young child’s small size and immature metabolic system makes him much more vulnerable to medication mistakes,” explains Daniel Frattarelli, M.D., chair of the AAP’s committee on drugs, and a pediatrician in Dearborn, Michigan. Help your sick kid get well safely by avoiding these common Rx blunders. Many OTC meds contain the same active ingredients even though the symptoms they treat differ. For instance, lots of multi-symptom cold formulas contain acetaminophen, the pain-relieving, fever-reducing drug found in Tylenol. If you treat your child’s congestion with a multi-symptom product and her fever with Tylenol, she’ll get double the recommended amount of acetaminophen. Better Rx With kids older than 4, treat only their major symptom, says Dr. Frattarelli. You can check an OTC product’s “Drug Facts” label to confirm that it’s the best one for your child’s symptoms (look under the active ingredient’s “purpose” and “uses”). Don’t give two drugs at once unless directed by your child’s doctor. More than a third of all U.S. children take a daily vitamin or another supplement, yet less than 40 percent of these kids’ parents tell their pediatrician about it. 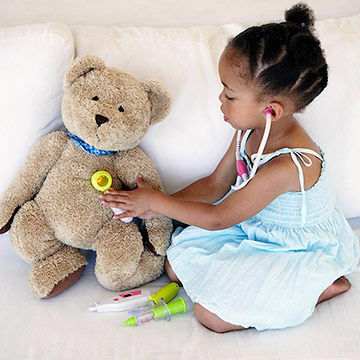 “Doctors need to be aware of anything in a child’s system that could interact with a medication or lessen its efficacy,” says Rainu Kaushal, M.D., director of pediatric quality and safety at New York-Presbyterian Hospital’s Komansky Center for Children’s Health, in New York City. Better Rx Carry an updated list of the types and dosage amounts of every medication, vitamin, and supplement your child takes, as well as a list of her allergies. (You’ll be glad you have it if there’s an unforeseen medical emergency.) Be sure to hand a copy of it to your pediatrician at every well visit. It’s tempting to stop giving antibiotics when your child seems better and it’s a battle to get her to take them. But bacteria can linger and become resistant to the medication if you don’t follow the full course of treatment, says Dr. Kaushal. If the ailment returns, your child will have to start over with a full course of a different antibiotic that may have more severe side effects. 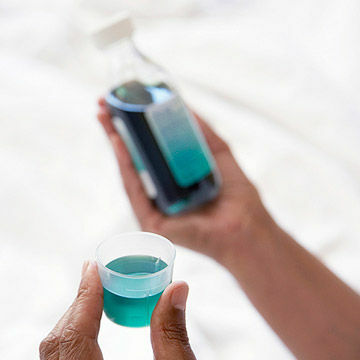 Better Rx Ask the doctor and pharmacist about adding flavoring or mixing the medication with food. Lots of parents give Benadryl to their children to help them sleep on an airplane, but 10 percent of kids get more excitable — not calm — after taking the drug. When researchers at Georgetown University Medical Center set out to show that Benadryl caused drowsiness, they instead discovered that it actually made the kids more hyperactive. Better Rx Bring lots of fun toys, healthy snacks, and, most of all, patience on your next long trip. Household kitchen spoons can hold two to three times more liquid than standardized dosing cups, syringes, or spoons, according to a study in the International Journal of Clinical Practice. But even these medicinal devices can be problematic if you’re not careful. 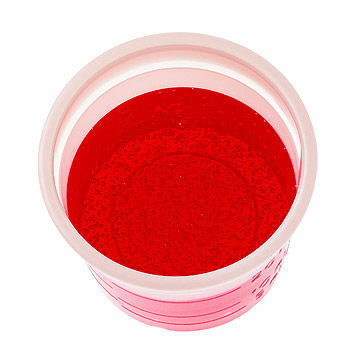 Another study from the New York University School of Medicine found that 70 percent of parents pour more than the recommended amount into dosing cups. Better Rx Use a dropper, syringe, or dosing spoon instead of a dosing cup. (Starting in mid-2011, the concentrated infants’ acetaminophen formulation is being phased out and packaged differently; the dosing device will now be a syringe instead of a cup.) Always read the markings carefully. “Teaspoon (tsp.) 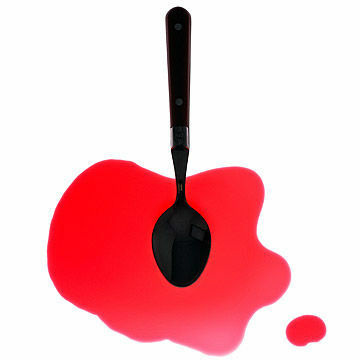 and tablespoon (Tbsp.) can look very similar. If you mix them up, your child can get three times the recommended amount,” says Stuart Levine, Pharm.D., of the Institute for Safe Medication Practices, in Horsham, Pennsylvania. Let’s say your previously healthy child starts complaining his throat hurts, just like his sister, who’s already being treated for strep. It might seem okay to diagnose the problem yourself and treat him with your daughter’s meds until you can get him his own bottle. But if your diagnosis is wrong, your child could become sicker. “Sometimes kids who have all the symptoms of strep actually have mononucleosis. In this case, antibiotics can cause a horrible rash,” warns Dr. Frattarelli. Giving unprescribed antibiotics also ups your child’s risk of antibiotic resistance. Better Rx Leave the diagnosing to the medical experts, and never let your children share the same prescription even if they have the same condition. 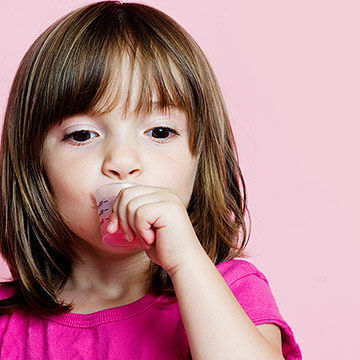 Dosing amounts vary depending on an individual child’s age, weight, and medical history. Children metabolize medicine differently depending on how much they weigh — not how old they are. 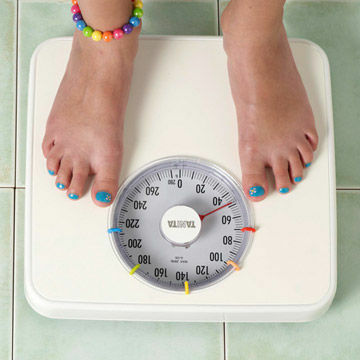 This distinction is especially important if your child happens to be over- or underweight for her age. A study from the University of Minnesota College of Pharmacy in Minneapolis-St. Paul found that obese kids metabolize caffeine and dextromethorphan, a key ingredient in many cough suppressants, faster than their average-weight peers, which means they may need more than what the label suggests. Better Rx Always consult your pediatrician before administering an OTC drug if your child’s weight is higher or lower than what’s designated in her corresponding age category on the label. Your pediatrician and pharmacist should factor in your child’s weight when writing and filling prescriptions. If you have a child who takes medicine fairly regularly — like an antihistamine for allergies — it’s easy to fall into a routine and administer the same amount without realizing that his dosage should have changed because he’s gotten bigger or that the medicine has expired. Another crucial reason to read labels carefully: Doctors and pharmacists sometimes make mistakes when issuing and filling prescriptions. A study by the Massachusetts College of Pharmacy and Allied Health Sciences found that many of these errors came about because some drugs have names that sound alike or look alike. Better Rx Make sure you can read your doctor’s prescription. If you can’t, ask for the correct spelling and dosing information and write it down. Read the medication label while you’re still at the pharmacy so you can easily ask questions. Always ask your doctor and pharmacist about changes to recurring prescriptions. Originally published in the October 2011 issue ofParents magazine.